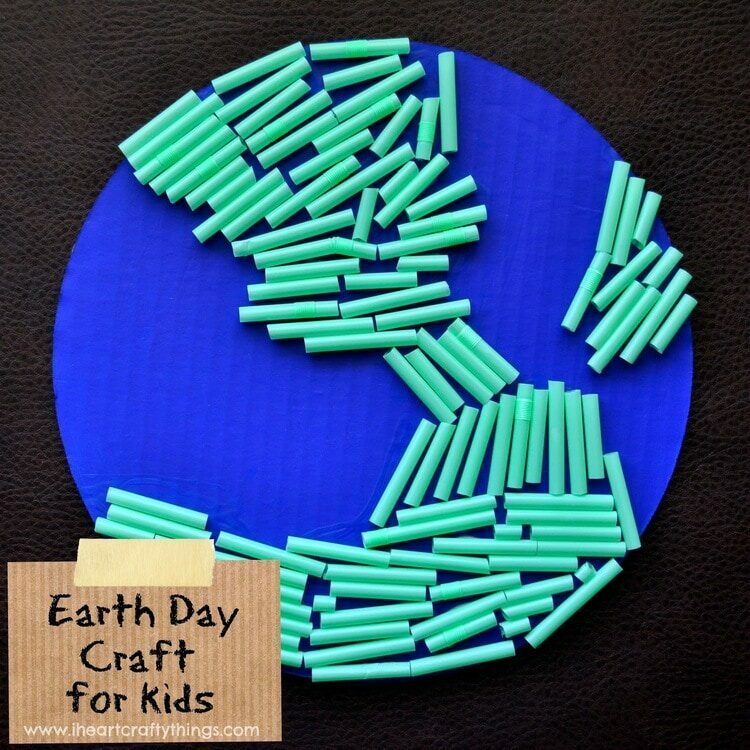 Earth Day is coming up on April 22nd and it’s a great time to talk with the little ones in your life about our beautiful Earth and how we can help keep it clean and healthy. 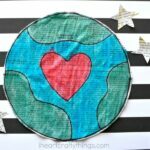 As a family we like to take part on Earth Day in finding an area in our neighborhood to pick up liter, but we also like to make a celebratory Earth Day Craft. and This is me and where I am by Joanne Fitzgerald . 1. 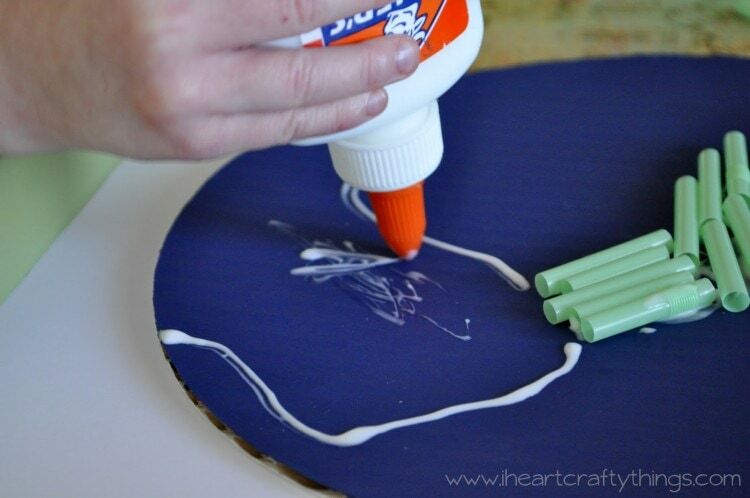 Paint your cardboard circle with blue paint and let it dry completely. 2. 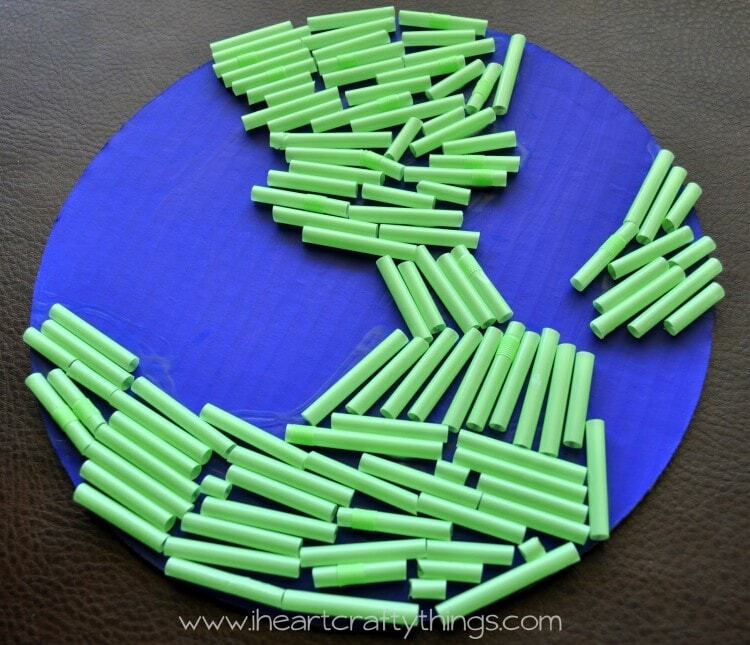 Cut up a bundle of green straws into small pieces. 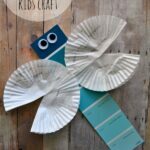 This is excellent cutting practice for preschoolers and ends up being a whole activity in itself. 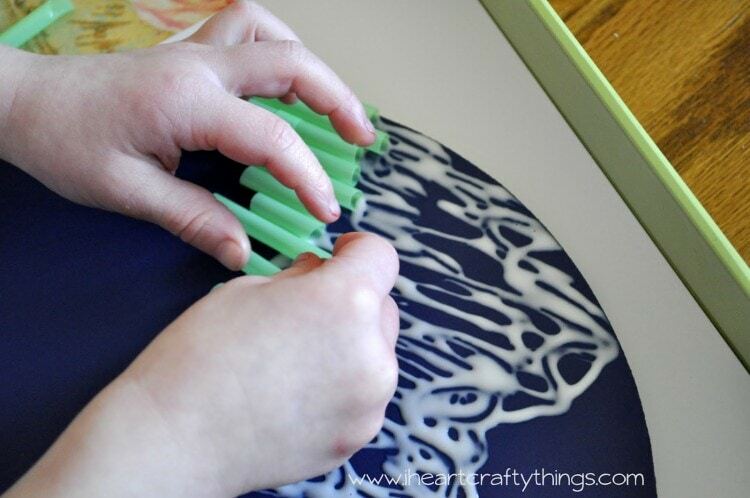 I set up our straws in a tray (pictured below) with scissors and had my daughter work at cutting all the straws after we had painted our cardboard circle. 3. I used the school glue to outline a continent and then my preschooler filled it in completely with glue. 4. 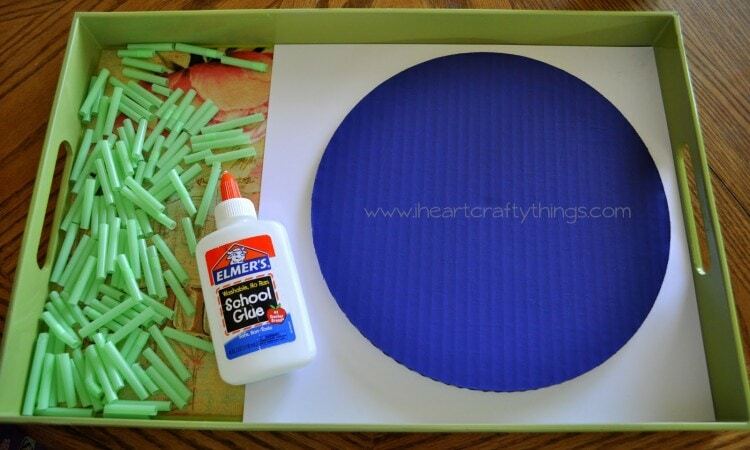 Once a section was filled in with glue, take the straws and place them all over the glue. 5. 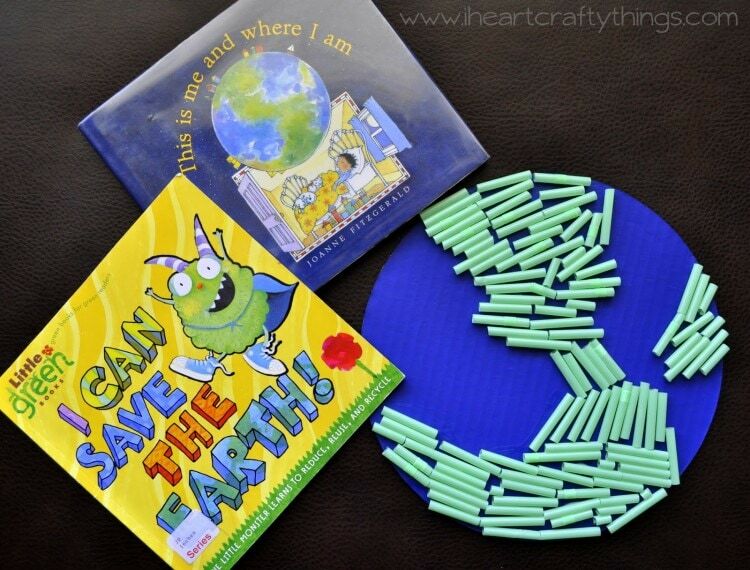 Continue gluing and filling in with straws until your Earth is complete. The artwork is obviously not to scale at all. 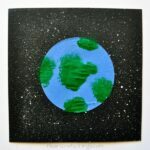 The objective is not to get something that looks perfect, but rather a piece of art that resembles our beautiful Earth. 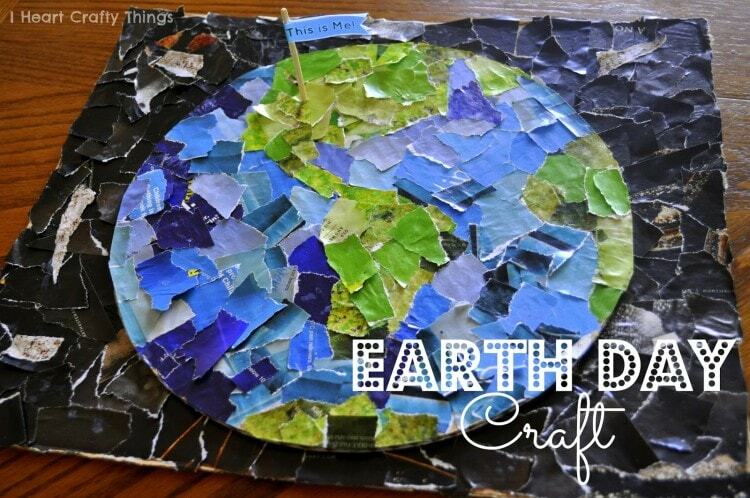 Check out our Earth Day Collage from last year and more Earth Day Crafts.